Near Sandpines! 1991 Goldenwest manufactured home on owned lot with 2-car garage. 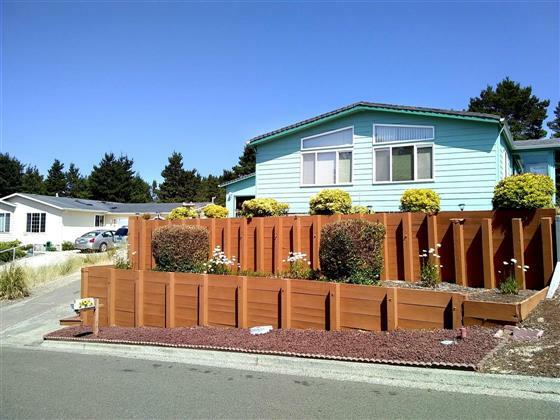 This 3-bdrm, 2-bath home is ~1782sf andsits on small hill so it's out of the Tsunami zone! Updated kitchen w/skylite & bkfst bar opens to family room. Master bath w/dbl vanity& lg walk-in shower. Dining room features built-in buffet. Laundry w/sink. "Good Sense" home, Hardiplank siding, low maint yard. Newint/ext paint. Terraced garden, Applncs incl.